Computed tomography (CT) and other advanced diagnostic imaging techniques are gaining popularity in forensic pathology. 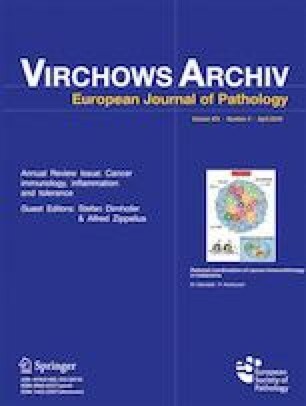 This paper aims to define and offer complete and easily accessible “state of the art” for post-mortem computed tomography (PMCT), by reviewing the latest international literature. The proposed format answers the “five Ws” that follows: (1) What: We report the different kinds of CT scan and settings generally used in post-mortem imaging. The machine most employed is a 8/16-slice spiral CT, usually without contrast enhancement. The introduction of some variables, such as CT-guided biopsies, post-mortem ventilation, and PMCT angiography is becoming increasingly useful. (2) Why: Literature highlights the many advantages of PMCT. Limitations can be partly overcome by modern imaging techniques and combined evaluation with traditional autopsy. (3) Who: Most authors agree that collaboration between different specialists, i.e., radiologists and pathologists, is the best scenario, since radiologic, anatomic, and forensic skills are needed simultaneously. The most important human factor is “teamwork”. (4) When: Literature provides no absolute limits for performing PMCT. Some authors have tested PMCT as a replacement for conventional autopsy but found some limitations. Others evaluated PMCT as a guide or screening tool for traditional autopsy. (5) Where: Many research groups around the world have performed studies on the use of PMCT. Although few countries adopt PMCT in routine practice, its use is rapidly spreading. Dr. Niccolò Norberti, Dr. Paolina Tonelli, and Prof. Stefano Colagrande conceived and designed the study, and wrote, edited and reviewed the manuscript. Dr. Claudia Giaconi, Dr. Cosimo Nardi, Dr. Marina Focardi, Prof. Gabriella Nesi, and Dr. Vittorio Miele wrote edited and reviewed the manuscript. All authors gave final approval for publication. Dr. Niccolò Norberti takes full responsibility for the work as a whole, including the study design, access to data and the decision to submit and publish the manuscript.